Moving on from there to The Patch, there was a swarm of gulls. Before we'd even got to the seawatching hide the juvenile Glaucous Gull was coasting over the power station before heading back towards the sea. 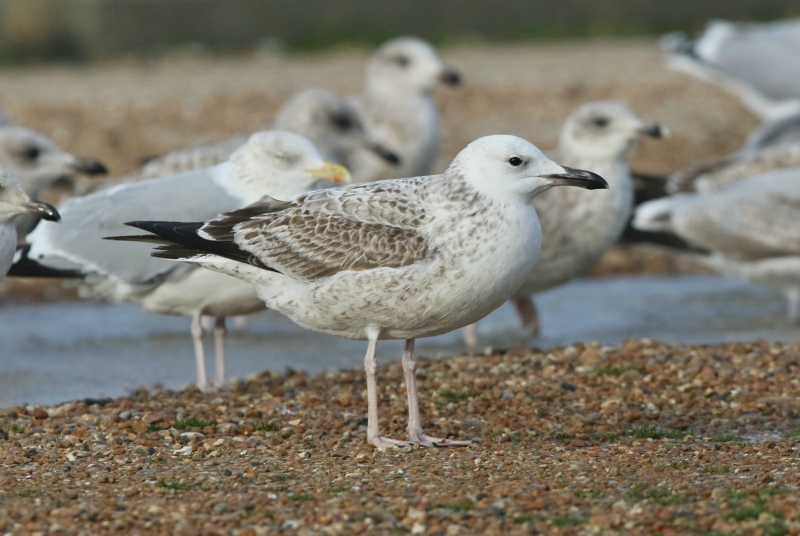 With the conditions, there were a lot of birds about and in addition to the Glauc, the second-winter Iceland Gulls was picked up too. 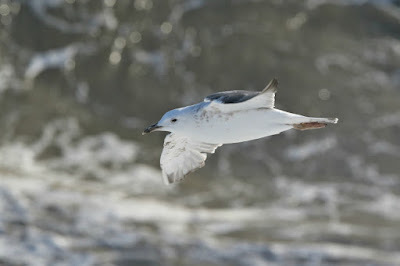 And an interesting adult Mediterranean x Black-headed Gull hybrid too. All nice stuff, but never that close and always looking into the light which is the case with The Patch on morning visits (unless overcast). Heading onto the reserve, gull numbers were low. Perhaps they were all out feeding, taking advantage of the windy conditions, or it may just have been a bit too exposed. Four figure numbers of Cormorants were about on the island from Makepeace Hide while an assortment of wildfowl was decent enough - two Smew (a redhead and Dante's first white nun), a small flock of Goosander while a female ***** **** provided the young lad with an obligatory lifer. Anyway, after a while we settled for that as our lot. 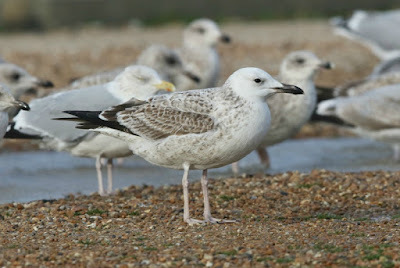 Ten species of gull for the day and some pleasant enough wildfowl. Dungeness is always a decent day out, but I do often feel like I should be in London looking at birds that nobody else has looked at.